I took these five years ago… how time flies. But, tis the season. This has been one of the most popular pics on my photoblog as of late. 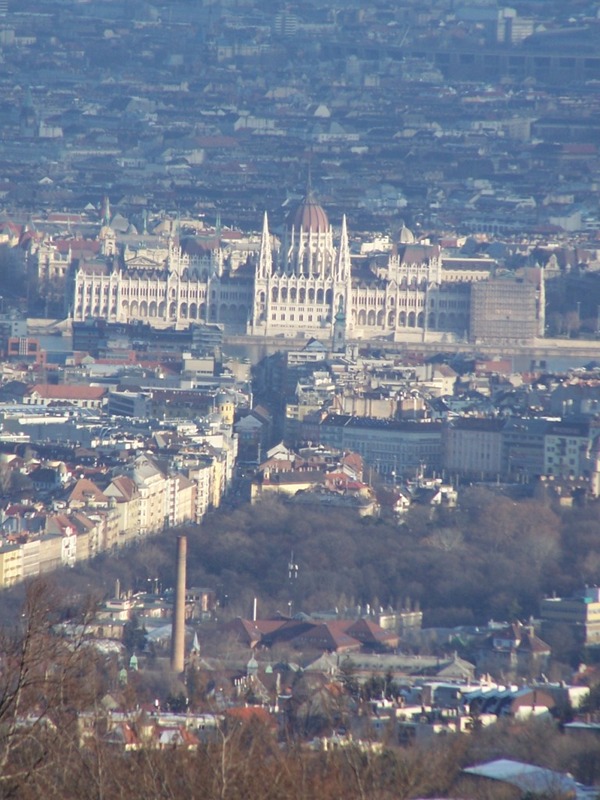 The Neo-Gothic Parliament building as seen from Normafa. 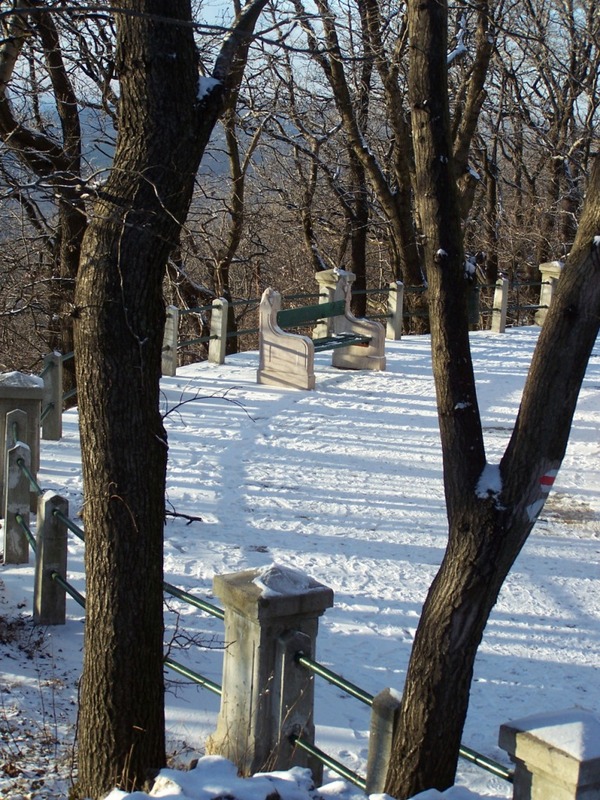 Normafa overlooks Budapest from atop of the hill. 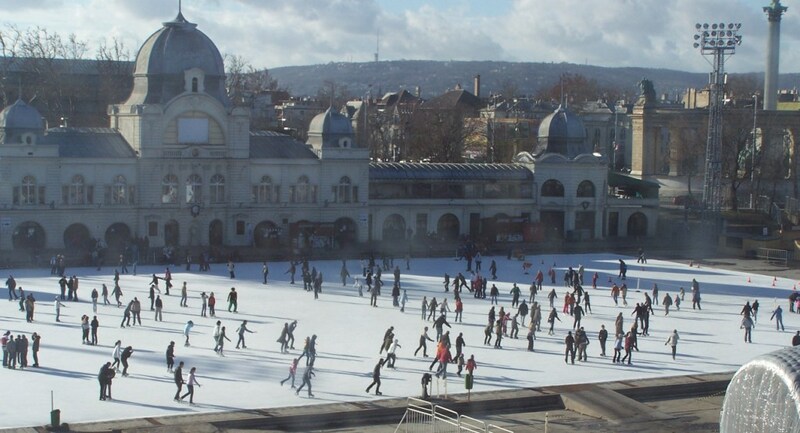 On this day the hilltop was dusted while there was not a trace of snow in Budapest. The aforementioned dusting of snow written over by long shadows of winter. 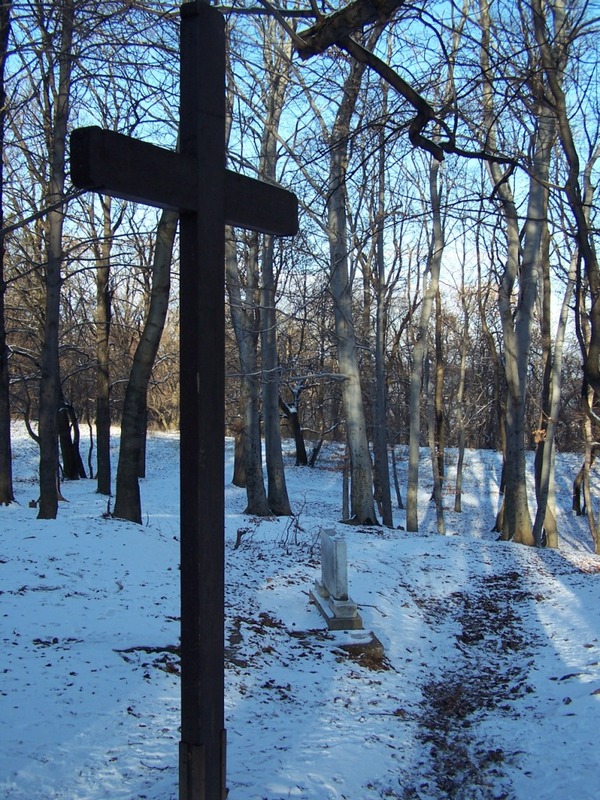 A solitary cross and headstone next to the trail. 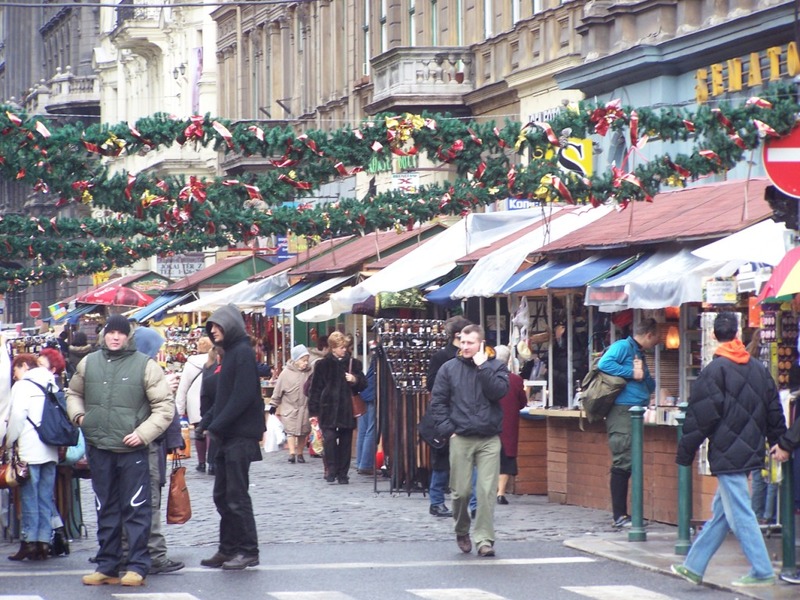 It wouldn’t be Budapest in winter without a shot of one of the markets. 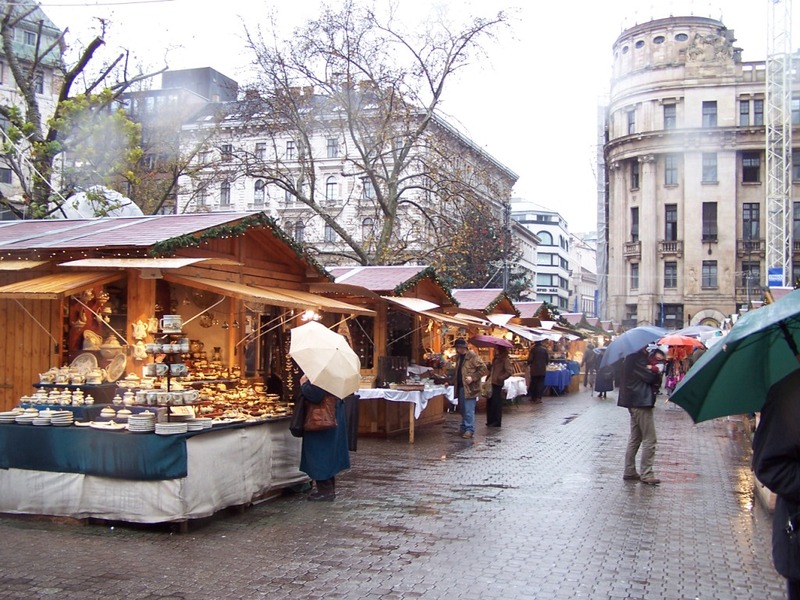 When it’s blustery and gray outside, the warm scent of roasting nuts or baked goods bring a smile to the face.